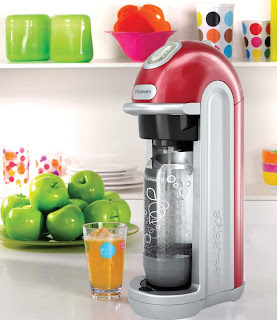 When I was offered the chance to review a Sodastream, I jumped at it! I had fond memories of the Sodastream we had when I was a child - we weren't allowed fizzy pop much (too expensive I think, and bad for you!) but my mum loves gadgets so of course we had a Sodastream. I couldn't wait to see if the new models still made the same rude noise that the old ones did, and which, as a child, I obviously found amusing! 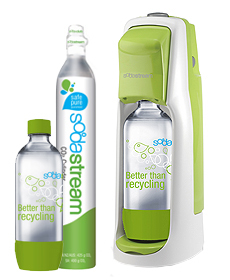 If you've never come across a Sodastream, the idea is to be able to make fresh, carbonated drinks at home. You fill a reusable bottle with tap water, place it in the Sodastream, press the button a few times which 'fizzes' the water and then add a concentrate for flavour. The carbonate comes from a gas cylinder in the back of the machine. When the cylinder is empty you take it to your nearest stockist to purchase a replacement. The cylinders are £19.99, or £9.99 if you take your old cylinder back. I received the 'World Without Bottles Jet' version of the Sodastream which retails at about £59.99. It comes supplied with a gas cylinder and a reusable plastic bottle. Each bottle has a average lifespan of 3 years and is BPA-free. Hopefully by reusing bottles in a Sodastream, this should cut down on the number of bottles produced when buying fizzy drinks from a shop. I also received 3 different flavours of concentrate to try with my Sodastream. Fitting the gas cylinder into the Sodastream was very easy and thats all you need to do to set the machine up. The plastic bottle is filled with water (and placed in the fridge beforehand for a really cold drink) and on the Jet model you push the green top of the drinks holder in, thus allowing you access to screw the water bottle into place. Personally I find this a little bit awkward but maybe I'm just a bit cackhanded! Then press and hold the grey button at the top down until it makes a raspberry sound and do this 3 times. Of course, you can add more or less fizz as you require. Then unscrew the bottle, add a cap full of concentrate, put the lid on the bottle and give it a slight shake to mix the concentrate and the water and then enjoy your fizzy drink! What I love about the Sodastream is that you don't have bottles of pop in your fridge going flat - you make your fizzy drink when you want it so it is still really fizzy (and they are really really fizzy!) Of course the kids love the noise it makes and the fact they can make their own fizzy pop. The concentrates are between £2.99 - £3.99 depending on where you buy them from but you could just add squash or if you like sparkling water drink it as it is. There is a huge range of concentrates, from cola, cream soda and tonic water, to sugar free and clear versions, through to energy drinks. The one complaint I did have was that I found it quite hard to find concentrates to purchase in my area - I couldn't find them in Tesco or Sainsburys. Maplin does stock the concentrates but unfortunately my Maplin didn't have any in stock. In the end I ordered mine from Argos, who sell them for £2.99 and offer free delivery, so this is quite an easy option. They don't stock the full range but enough for what I wanted. You can also buy sample packs, and up until 15th May, Sodastream are offering 8 bottles for £20. I would thoroughly recommend purchasing a Sodastream. 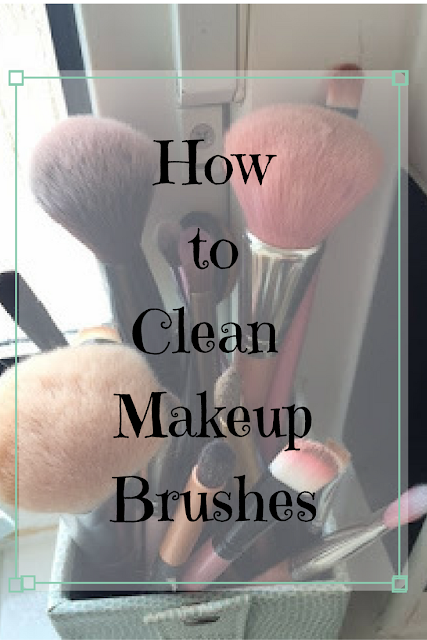 Its a great product, helps the environment, is fun to use and is quite a talking piece! I received a Sodastream and 3 bottles of concentrate for the purpose of this review but the opinions expressed are my own. What a fab soda-stream. Cor they've upgraded them and modernised them a fair amount in the last few years haven't they? Looking very funky now. I like the Fizz or the Penguin one, have to start saving up!